Nigel Farage has stepped down as leader of Ukip following last month's vote to leave the European Union, saying he had achieved the aim for which he came into politics. Mr Farage, 52, is a Euro MP for South East England, which includes Milton Keynes and Buckinghamshire. He has had two stints as leader of the Eurosceptic party since 2006, and announced he was quitting the post after failing to win a Commons seat in the 2015 general election, only to change his mind days later. The party's only representative in the House of Commons is Douglas Carswell, the MP for Clacton. Mr Farage said: "I'm pleased that he is smiling because that's not something I have seen very often from him." He insisted he would "bury the hatchet with anybody" but advised people against putting money on Mr Carswell becoming the next leader. 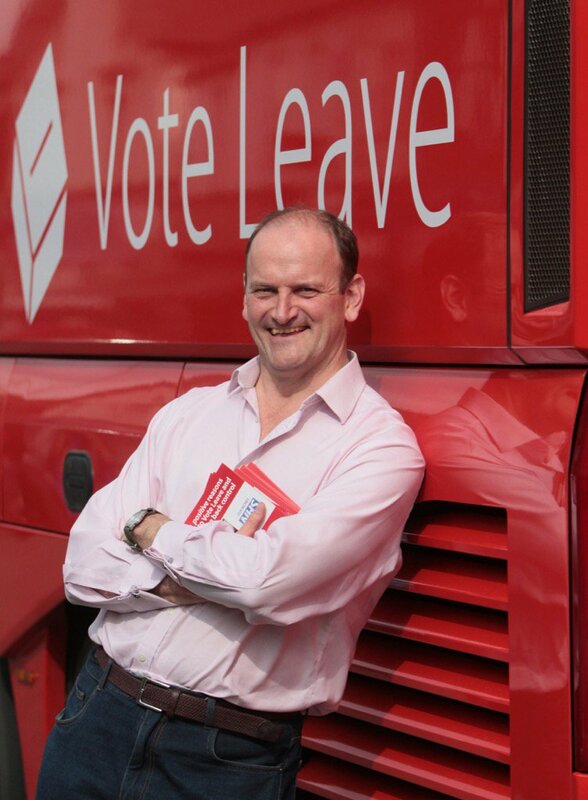 Earlier Mr Carswell had posted a picture of himself leaning against the Vote Leave battle bus and smiling. Another MP from the Anglia region has been forthright in his response to Nigel Farage's resignation. The MP for Mid Norfolk and a remain campaigner, George Freeman said on Twitter: "Farage resigns. Good. British politics takes a small step on the road to making Britain a less divided intolerant + disillusioned country." Douglas Carswell is the current second favourite to be the new leader of UKIP with bookmakers William Hill although he is thought to have ruled himself out of the race. Suzanne Evans is the current 7/4 favourite, who make Douglas Carswell 5/2 and Paul Nuttall is 3/1 third favourite. The East of England UKIP MEPs Tim Aker and Patrick O'Flynn and listed as 10-1 and 20-1 outsiders respectively. "Suzanne Evans is the current favourite but Douglas Carswell is very much a runner. "Farage fans might like to know that Mr Farage is 5/1 to return as leader before the end of 2020." Who are the candidates to be the next Ukip leader? Nigel Farage stood down as leader of the UK Independence Party on Monday. We take a closer look at the favourites to replace him.